Lake Forest Golf and Practice Center is offering instruction for students of all ages and levels who want to enhance their golf skills. Teaching will include strategy on one of the best practice courses in Orange County! From private instruction to group clinics, the programs are customized and taught by our star teaching staff. Each lesson is tailored to achieve the student’s individual goals and objectives, while improving fundamentals and connecting with others who share their interest in the game. Our popular, and always well-maintained practice center features a two-tiered, 60-stall mat range, as well as a natural grass hitting area that is open 365 days a year. With a variety of discounts and specials that run throughout the week, and a large 9-hole putting green and five-bunker chipping area, our practice facility is undoubtedly the best in the region. 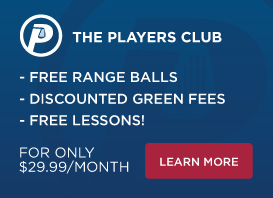 For more information about lessons, please call (949) 859-1455 or email lakeforestdoi@americangolf.com. Lake Forest Golf and Practice Center has one of the best driving ranges and practice facilities in the area. Tune your swing at our two-tiered, 60-station mat driving range, or our 12-stall natural turf range. We also offer discounts of up to 35% when guests load money onto one of our convenient e-range keys. With our extra-large, 9-hole putting green and give-bunker chipping area, Lake Forest Golf and Practice Center's extensive facility provides the optimal setting for perfecting every aspect of your game in a controlled and focused environment. Lake Forest is conveniently open daily from 6am, (with the exception of Tuesdays, when we open at 10am) and lit until 10pm nightly. Lake Forest Golf and Practice Center hosts an on-course Men’s Group and Ladies’ Group, which meet on Wednesday and Monday mornings, respectively. These clubs are an opportunity to build friendships and camaraderie with others passionate about golf. We also offer a variety of golf frequency programs such as GOLFZING discounts, and the Junior Academy. Nike Junior Golf Camps focus on short game, irons, chipping, shot selection, sportsmanship, and strategy. The Camps provide junior golfers with the tools to help improve their game, and the friendships & motivation that lead to a lifelong love of golf. We offer a Full Day Camp from 10:00AM to 4:00PM, and a Half Day Camp from 10:00AM to 1:00PM. Please call (800) NIKE-CAMP, or see the website for Nike Junior Golf Camps, Lake Forest Golf & Practice Center. We offer instruction for men, women, and groups of all abilities, including junior golf clinics, taught by our seasoned teaching professionals. For adults, we feature the Get Golf Ready group lesson program, as well as offering private lessons. For young golfers, we offer the Junior Golf Academy, private lessons, and Nike summer camps. For more information please call (949) 859-1455 or email lakeforestdoi@americangolf.com.